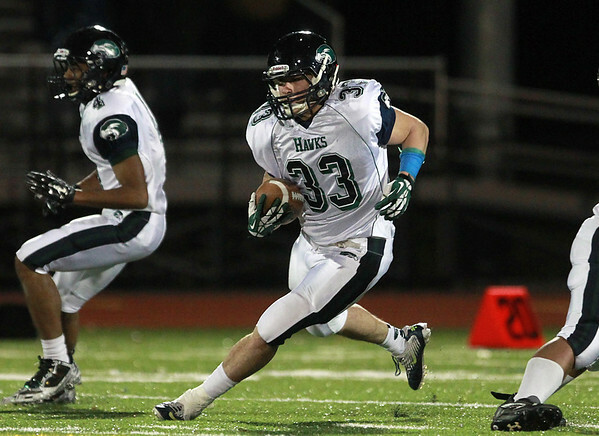 Essex Tech senior captain Daniel Bailey (33) makes a sharp cutback and finds open field to run against McCann Tech. DAVID LE/Staff photo. 12/4/14.